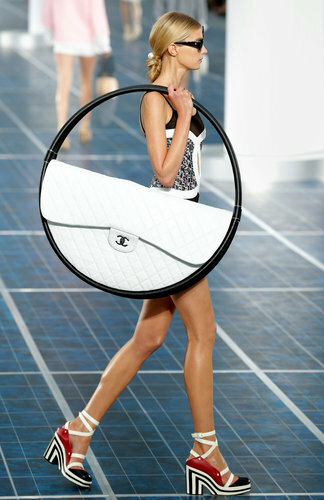 I would given Lagerfeld even more credit if somehow the bag portion detached into a (somewhat misshapen) clutch and you could use it as an ACTUAL HULA-HOOP! This entry was posted on October 6, 2012 at 4:33 am and is filed under Buy Me This!, Fashion Blogging for Toddlers. You can follow any responses to this entry through the RSS 2.0 feed. You can leave a response, or trackback from your own site.